Modern townhouse in the centre of Henley-on-Thames, perfect for Royal Regatta with dining room and children's bunk beds. This beautiful townhouse in the heart of Henley-on-Thames has been recently refurbished with luxurious fixtures and furnishings and boasts three clean, modern bedrooms across this three storey home. On the ground floor you will find a fully equipped kitchen complete with all the latest accessories, a modern dining room, living room and bathroom with bath and overhead shower. On the first floor there is the master king size bedroom and a children's bunk bed room. 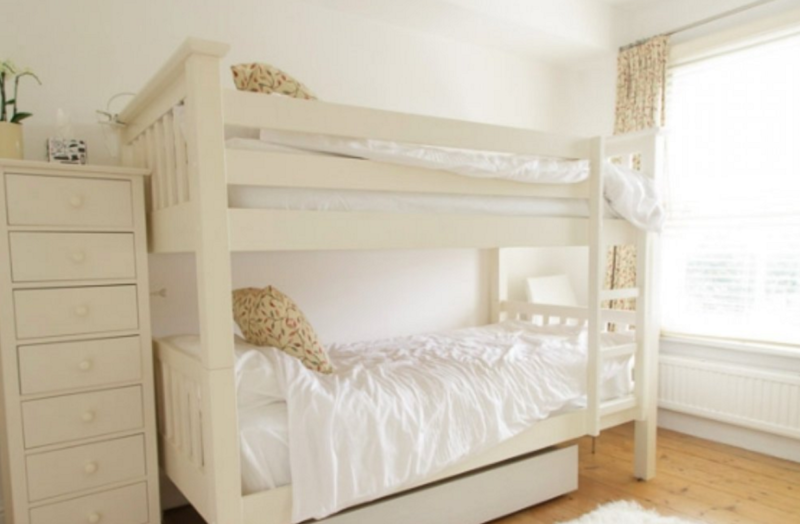 Accessed via the bunk bed room, and on the top floor of the home, is the final bedroom, which can be arranged as a twin or a super king double bed. With its beautiful interior and great location, within minutes of central Henley on Thames, this is a perfect alternative to hotel accommodation, very affordable and would make a suitable base when visiting Henley's major events such as the Royal Regatta. Located only a short walk away from the river, this lovely home in Henley-on-Thames offers a unique place to stay right in the middle of town. Just a few minutes from the train station, the house is in a prime location for everyone visiting Henley, whether it be for the Henley Royal Regatta, Henley Festival or a private break away.